The bottle of wine hidden in your cellar or sitting unassumingly in the wine rack might be your golden ticket. By securing loans on Chateau Pétrus Wine with New Bond Street Pawnbrokers, you can understand and appreciate its potential. Our team of experts can help unlock the value of your collection by pawning against your Chateau Pétrus wine – all within the comfort of our award winning pawn shop in Mayfair, London. 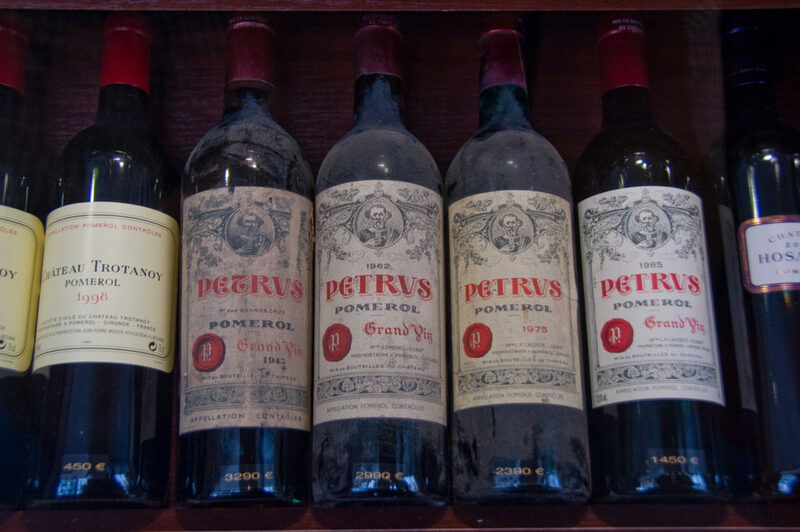 By using New Bond Street Pawnbrokers, we will enable you to finance any large purchase you have on the horizon by using our knowledge on how to best advise you on your Pétrus wine. A loan from us is a fast, simple, secure and confidential process that is designed for clients to receive the maximum amount of capital in return for their luxury goods. We have plenty of expertise when it comes to the process of making and bottling Pétrus wine, as well as the wine industry at large. By working with us to borrow against fine wine, you’ll benefit from the talent of proven experts in the industry. We have been providing loans against many luxury items, including fine wine, in London since the early 2000s and have over 60 years of industry experience. To take loans against Chateau Pétrus wine, be sure to get in touch with us here at New Bond Street Pawnbrokers. Our service is confidential and we will provide you will full amount of the agreed loan price. It is a no-hassle procedure and you will have immediate access to your funds. You can be assured that our advice and expertise is a premier service, with over 80% of our clients returning to work with us again. If you consider to pawn your Chateau Pétrus wine to us, we can help you make the best financial decision and have access to a large sum of finance – perfect for financing any large purchase you may wish to make. To loan against your Chateau Pétrus Wine, be sure to get in touch with our London team today. Our confidential service provides you with 100% of the agreed loan price and we don’t perform any credit checks. To start the process, either fill out the contact form or give us a call on 020 7493 0385. We also offer loans against the following assets: diamonds, fine jewellery, classic cars, fine wines, fine art and fine watches as Patek Philippe ,Audemars Piguet or Rolex, antique silver and Hermes handbags.